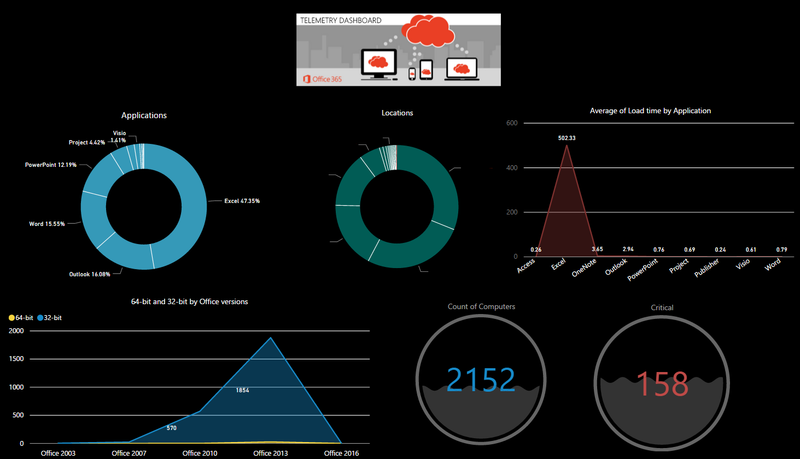 Microsoft Office’s Telemetry Dashboard is an essential add-on for giving your environment an Office Health Index – where you have it, licensing, upgrade, tracking issues, AppCompat etc. The insight telemetry provide is priceless and yet free. Here the data sources are both the telemetry database, telemetry excel dashboard, and the SCCM database. want the pbix file ? share this post on twitter or fb and comment with the link of ur shared post & your email in the comment window below.